When designing or planning a landscaping project, first of all you must know what you are doing, otherwise employ the services of someone who does. Take a few thousand rand, toddle off to the local garden centre, and let’s see what you come back with. More is the point, where are you going to plant it, does it form part of your theme, colour height and shape, and will it live where you placed it. These are just a few of the questions that a DIY landscaper has to contend with. The secret to garden designs is not gifted by reading a couple of articles on indigenous Aloes, it comes with years of knowledge and a natural green fingered passion. Our independent landscape architects will excite you with their ideas and deliver the full package that is custom designed for your environment. We hadn’t even touched on the subject of hard landscaping garden design, which involves the incorporation of rocks, boulders, garden bridges, water features, ponds, gazebos, pathways paving and much more. 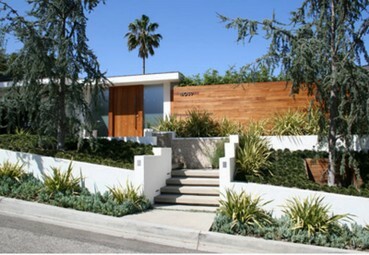 Check out their landscape design portfolios they are very impressive. Compliment and enhance the style or character of your home. Be beautiful at any time of the year. Provide ease of access and flow. Provide endless enjoyment, tranquility and satisfaction. 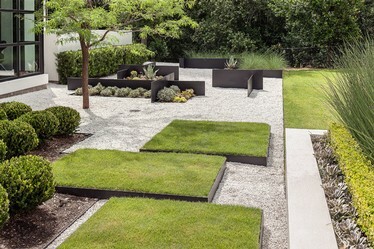 Design and installation of new gardens. Redesign, revamp and maximisation of existing gardens. Customized water features in all styles and sizes. Garden related building works: paving, garden walls, retaining walls, patio's, pergola's and lapa's. Specialized / Customized paint techniques and murals. STEP-BY-STEP PROCESS TO ENSURE COMPLETE CLIENT SATISFACTION UPON COMPLETION. Initial Consultation - Our first site visit takes the form of a full assessment of your garden. The garden is discussed in detail in terms of what would be best to remove, correct plant placement and selection to suit your garden, improvements in the form of the addition of focal points, water features, objects of interest, plant feeding and pest control. Concept Plan Preparation - We prepare a concept plan for your garden based on the initial in-depth assessment of your needs and preferences. Final Design - If needed, changes are executed in on going consultations to achieve a fully tailored final living space solution. Quotation - A cost estimate is provided with the final landscape design which is discussed in depth. Suggestions or alterations are proposed and a final mutually agreeable project cost is arrived at. Execution - This is when you can stand back and watch the magic happen! Hard landscaping is an integral part of a successful overall garden design, playing a key role in achieving optimum functionality, visual balance and interest. Our building services include garden related building works such as paving, retaining walls, garden walls, patios and pergolas. An irrigation system is an essential part in maintaining your garden succesfully throughout the year; particularly in South Africa where rainfall is very seasonal and can be irratic, even in season. We install automated irrigation systems with great care taking into account soil types, sun and shade conditions and the general topography of the garden. Koi ponds are by far one of the most rewarding additions to a garden. We design, construct and equip all sizes and styles of water features including natural rock. Each project is tailor-made to each client's specific environment and aesthetic requirements. A natural water feature may be a rock pool, pebble pond, a babbling stream or perhaps a wishing well constructed from a natural material such as sandstone. Formal water features, infinitely suited to the smaller garden spaces which are becoming increasingly common, are individually designed and decorated to suit each specific garden setting. A variety of materials such as sandstone, slate, cladding, stainless steel, ceramics, mosaics, bronze and also specialized plaster techniques are artistically crafted to create unique aesthetics and functionality. We work in close association with a decorative artist to create depth in smaller gardens by utilising perspective murals, paint effects and creating unusual focal points. Unusual decorative items such as water feature plaques, old farm equipment, traditional "Mielie Stampers" and grindstones are available. We also supply a wide range of custom made rought iron furniture, gazebo's, obelisks, arches and a plethora of other smaller decorative items. South Africas number 1 garden designs and landscaping. Garden designs and landscaping in Gauteng. Garden designs and landscaping in Durban. Garden designs and landscaping in Cape Town. Skilled people have years of experience garden designs and landscaping. Well established company that endeavours to fulfill all the requirements of garden designs and landscaping.. Prides itself on the successful completion of all garden designs and landscaping projects in Gauteng, Durban and Cape Town. High standard of quality at the most economically priced garden designs and landscaping in Gauteng, Durban and Cape Town. 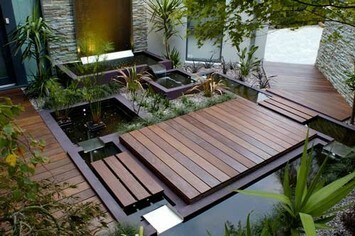 Contractor for all your garden designs and landscaping needs in Gauteng, Durban and Cape Town. Premier garden designs and landscaping company in Gauteng, Durban and Cape Town. Specializing in commercial, retail, industrial, government and residential garden designs and landscaping in Gauteng, Durban and Cape Town.